Buy a button on the sidebar of Rose & Pine! Pick the size that best suits your blog or business below. Email me to set up a purchase! This space comes in one size, 175 pixels wide by 175 pixels high. It is a steal for any blog or business at only $5! This space comes in 350 pixels wide by 175 pixels (or smaller high). It is a great deal at $8! Please keep your image at a width of 350 pixels to keep with this blogs sidebar. This space comes in 350 pixels wide by 350 pixels (or smaller) high. Your blog button or business advertisement will be one of the first things visitors see on this blog! -You must provide your own high quality image in the size purchased. -There is no limit on consecutive months. -Your button or advertisement will be placed on the blog within 24 hours of conformed received payment. -Buttons and advertisements be removed after one month. -Do not hesitate to email me if you have any further questions! Have a post that you would like featured on any of Rose & Pine's social media accounts? Like the sprinkles on top of a delicious donut, no treat is complete without some additions! Of course, a button ad space is not necessary to purchase any of these! This purchase will get you one advertising image on my Instagram along with a caption. To make the post organic to my feed, I will have final approval over the image and caption. For $1, this purchase will get you a solo #FollowFriday tweet! For $2, this purchase will get you a featured tweet a link of your choosing on your blog or website! This purchase will get you five pins of your choosing, from your blog or business, pinned to my Pinterest account! This purchase will get you a link of your choice to any post or item on your blog or business, featured on Rose & Pine's Facebook page! Rose & Pine is a blog that loves to feature new and exciting items, as well as good old tried-and-true products. 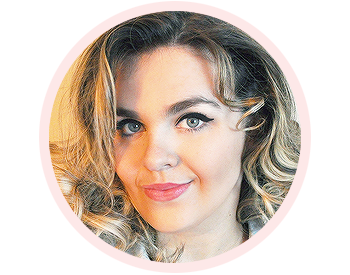 If you are interested in setting up a sponsored product feature, review, reader discount, or giveaway on this blog, please email me! Please read my policies before emailing me, just to keep everything clear! Thank you! I reserve the right to turn down any potential sponsors that I feel do pertain to the nature of this blog, are offensive, or that I feel are inappropriate for this blog's audience. The same right goes to any material that may be posted to advertise your business or blog. When advertising with Rose & Pine, please keep all material tasteful. I also reserve the right to give my full and honest opinion on any products or services. I will give notice to my readers if I have received any compensation, or used any affiliate links, in the form of a note at the bottom of the particular post. 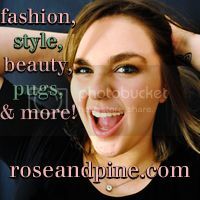 Rose & Pine is a PR friendly, 100% honest blog. Media kits are available upon request. Your blog is very nice ! Could you please take a look at mine as well?